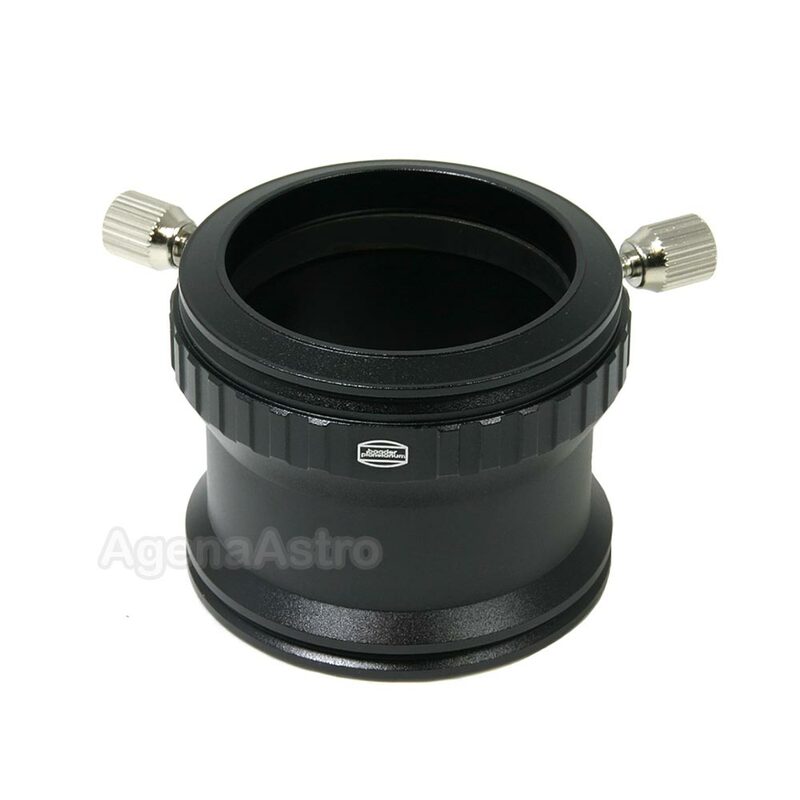 Baader's newest innovation - the 2" SCT Deluxe Clamp (Visual Back) with Integrated 2" Eyepiece / Filter Holder - allows you to incorporate a standard 2" astronomy filter in your SCTs light path. Using this item, you can permanently mount any filter as a dust seal for your OTA, or for convenient use with multiple eyepieces and accessories. This item # T2-17 or # 2958144 actually consists of two parts: (A) Item # T2-17A or # 2958141 (Visual Back) and # T2-17B or # 2958142 (2" Filter Holder). These parts are not available separately. To use this item, you first attach part # 17B on to the 2" SCT male thread on the rear of your telescope. You can then attach most 2" astronomy filters (having a M48x0.75 thread) to this ring. Finally, you attach the visual back #17A to #17B over the 2" filter. This combination is functionally identical to Baader's T2-17 SCT Visual Back, with the added benefit that you can seal the optical tube from dust and moisture, and use a UV / IR filter to cut the infrared or use a nebula filter UHC-S or O-III or any other filter! Please note that no filters are included with this adapter. The eyepiece holder has a bronze clamping ring and two locking screws. Parts 17A and 17B connect to each other with M58 threads. Item weight = 5.6oz. (1) Separating parts 17A and 17B requires the use of a spanner wrench tool (not included). (2) Recommended for use with Baader's slim cell 2" filters. Using filters of other manufacturers can cause problems if the filter cell diameter is larger than that of 2" Baader filters. Review by Senator48 of Northern NJ. Thank you for working with your distributor to make this product available in the USA! I primarily use Baader Hyperion eyepieces, but not having to swap my light pollution filter between them when I change magnifications makes life simpler. Now I can keep this filter permanently installed on the back of my SCT with the added bonus of it acting as a barrier to dust finding its way into the tube.